The Medicool Insulin Protector Case is a protective travel case for your insulin of any brand of insulin you may have. The insulin carrying case removes one less worry and provides one more convenience; the convenience of not having to worry about providing refrigeration for your insulin for up to 16 hours. You are provided with a cooler case equipped with insulation and additional features to answer the need of many people who travel and worry for their insulins care. 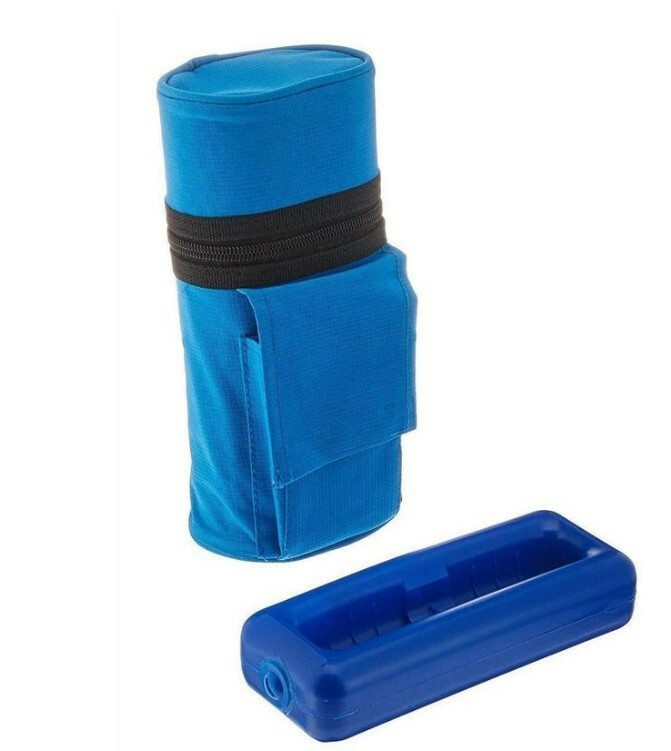 The Medicool Insulin Protector Blue Case has a zipper towards the top half of the insulin case to allow easy access and removal of your insulin bottles. The insulin protector can accommodate up to two bottles of insulin at a time. The universal fit takes the standard dimension of insulin bottles and offers enough room for any bottle-brand to be carefully placed and carried within the protection of the padded surrounding. 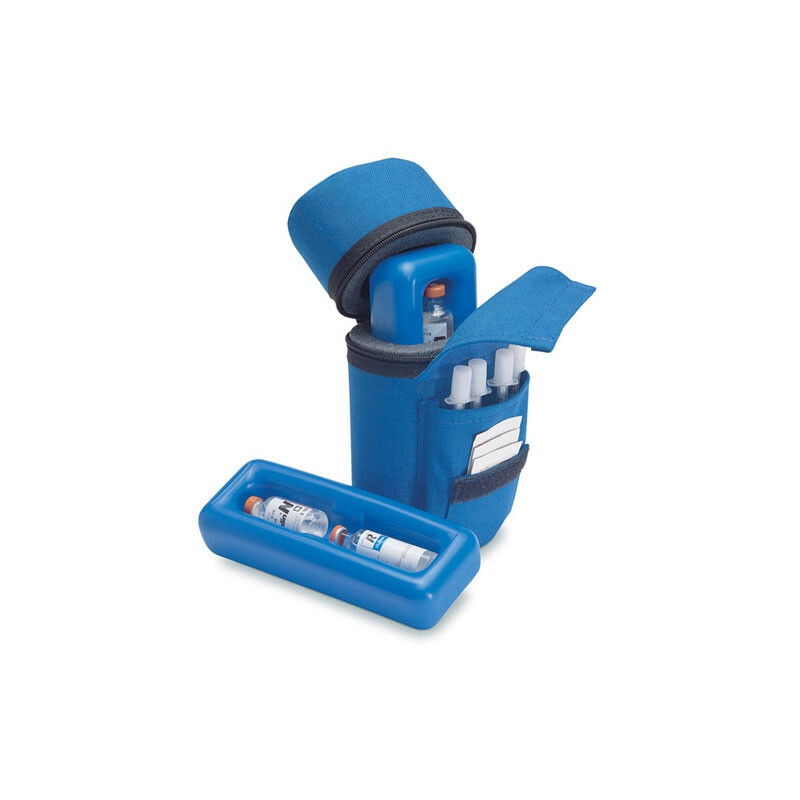 The Medicool Insulin Cooler includes a pocket located in the front of the carrying cooler case to keep your equipment such as insulin syringes or alcohol swabs together. The insulin protector case is a convenient tool to use when you are needing refrigeration where ever you may go, the two cooler packs provide a substantial amount of cooling ability. When it comes to having some piece of mind in this world, even the smallest products can provide a huge relief. I needed this to travel and it has done well. I am a littl confused about the instructions though. The inside instructions says freeze and on the outside of the blue ice container it says DON'T FREEZE. Confusing, yes! Other than that works great!